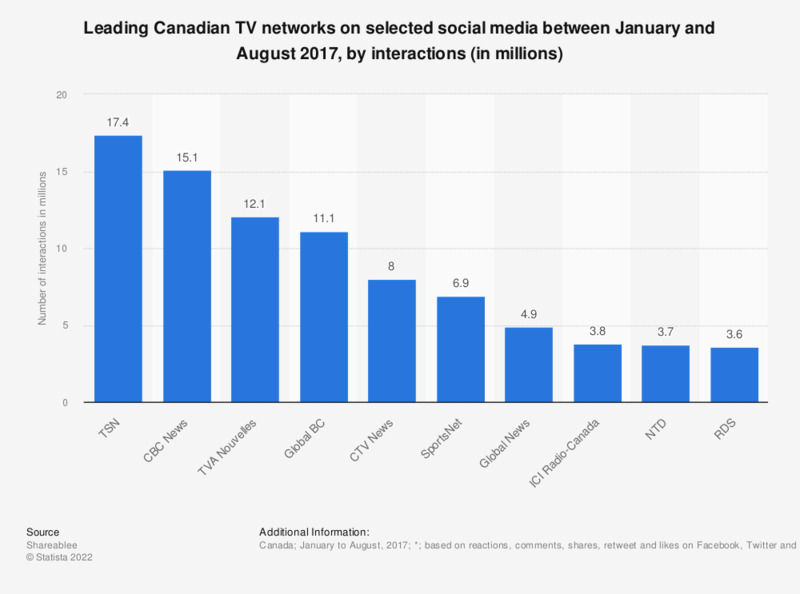 This statistic presents the leading Canadian TV networks on selected social media between January and August 2017, by interactions. According to the findings, the Canadian TV network TSN had 17.4 million social media interaction in the measured period. CBC News ranked second with 15.1 million interactions. *133 million social actions; 1.4 billion video views; 31 million video actions across Facebook, Twitter, and Instagram.